After my rough landing in Shanghai (see previous), I found myself a little intimidated. 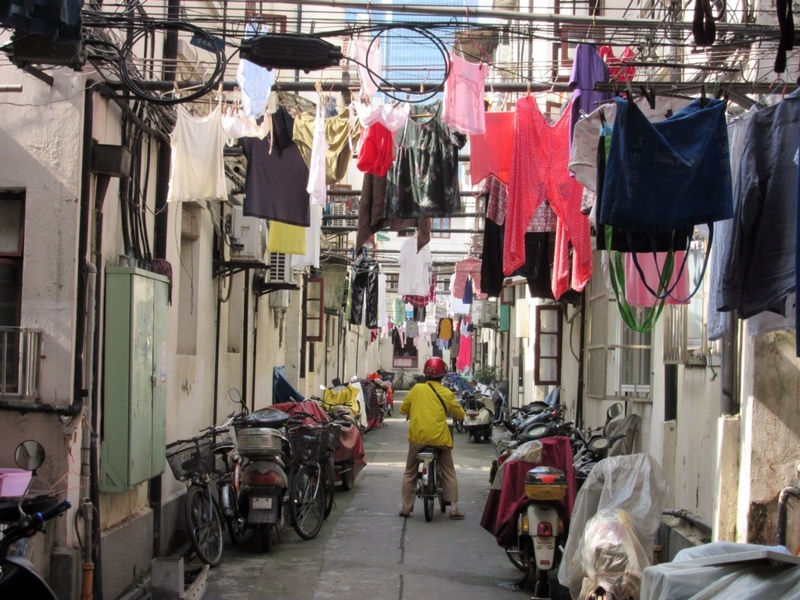 By the crowds, the chaotic streets, and the shocking contrast between Shanghais' glitzy trappings and entrenched poverty. You can't walk far in this town without tripping over a Gucci store or Porsche dealership, but there is also widespread poverty and desperation on a massive scale. To witness such suffering in this seemingly wealthy setting is disconcerting and a reminder of the paradoxes at the heart of modern China. More selfishly, I immediately began to see myself as a walking dollar sign. I told myself I was being paranoid. Just get out there and start exploring! But as I set out to see the sights in Shanghai, over and over again I found myself in strange conversations with people who seem too friendly, too interested. Was this just culture shock? Then, I learned I have was not paranoid enough. My second day in Shanghai, I was walking along the Bund when two twenty-something girls asked me to take their photo in front of a famous building. This had happened to me many times already that day, sometimes innocently, and other times it felt like something weird was going on. This time, I didn't get any red flags and we started chatting and I immediately took a liking to these two. They were from a small city in northern China (Harbin), they were visiting a friend who had moved to Shanghai, they had majored in English. We were strolling in the same direction, so the conversation continued. After a few blocks, they said they were ready for a cup of tea and asked if I wanted to join them… a good chance for them to practice their English… the weather was gusty and rainy and a cup of tea sounded great… soon one cup of tea turned into tasting a few different varieties of tea — the waitress was so insistent! — but we were having a great conversation, talking about our lives and our families and what it was like to be a woman in the changing, modern world. We were done drinking tea, but maybe we should buy some? For gifts? After Shanghai, I'm planning to visit some elderly Chinese family friends in Nanning, so yeah maybe tea would be a good gift… the prices seem a little steep… but maybe I'm getting my exchange rates mixed up … the bill was huge, and confusing, one of the girls wanted to gift me some tea.. . Before I know it, we're saying our goodbyes and I'm walking away in a daze, having just dropped something like $150. Its such a culturally-inappropriate cliche: I was shanghaied in Shanghai! Later that day, the remants of a typhoon passed through, dumping rain, and the streets were filled with nasty water. Soaking wet and totally freaked out, I retreated to my hostel and started researching the fastest, cheapest way to get out of China. Express train to Hong Kong? Direct flight to Thailand? Websites are not working. Not just Facebook, but also Google and the New York Times. Argh!! Where am I?!! After the storm passed and I got a good night's rest, I started to de-freak. Gradually I started to make my way out and about again, this time more cautious about money and suspicious of overly friendly people. I wandered around the French Concession, talking to shop owners and visiting art galleries. I frequented the same restaurants, learned the menus, practiced my Chinese with those who had the patience to listen. 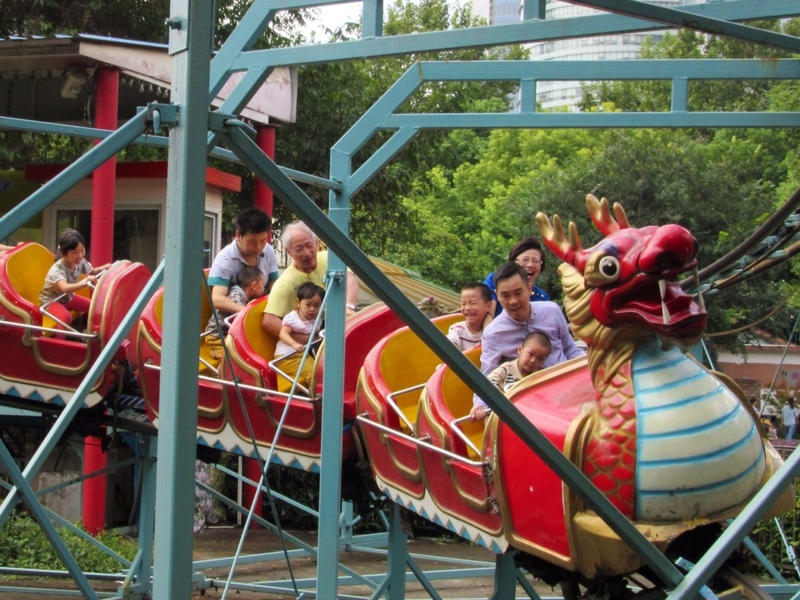 Riding the dragon in People's Park. China's growing middle class is enjoying the good life in Shanghai, with its redone parks, new metro system and many, many shopping malls. 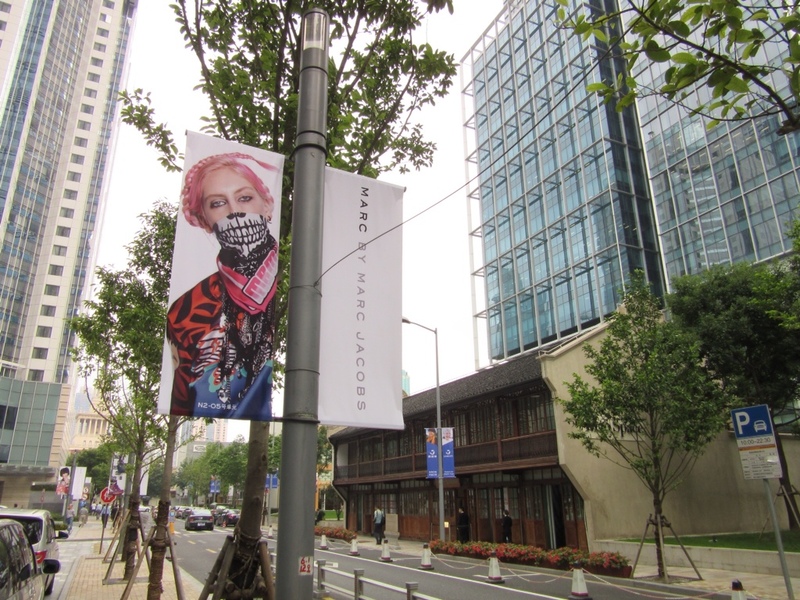 Fashion shoot outside the Gucci store in Shanghai. There is no shortage of bling in Shanghai. An alley in the French Concession is a reminder that many people in Shanghai are NOT living the bling life. 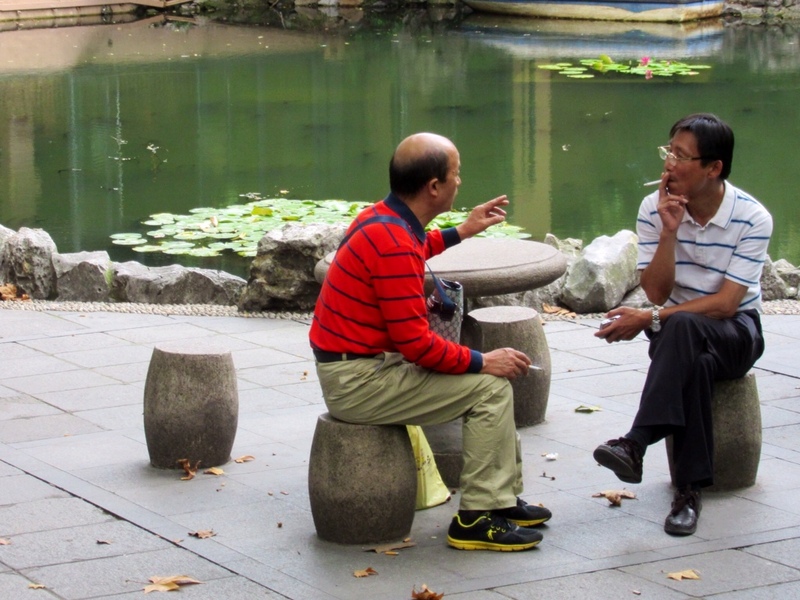 Cigarettes and conversation on a Sunday afternoon in People's Park. 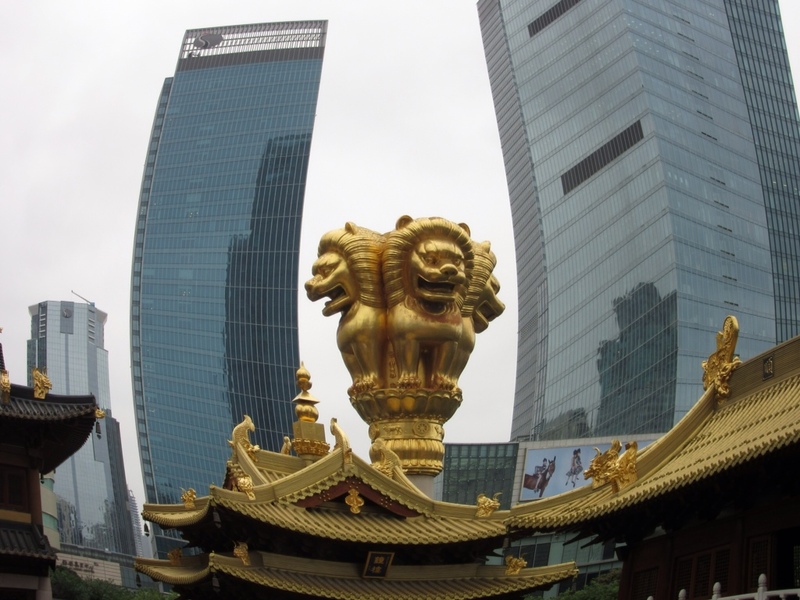 Shanghai's government has an ambitious vision for their city. Already, Shanghai has a Maglev train that goes 420 km per hour to/from the airport and a huge metro subway system that was just built in the last 10 years (it reminds me of what is happening in Los Angeles right now). But there's much more they have in mind. 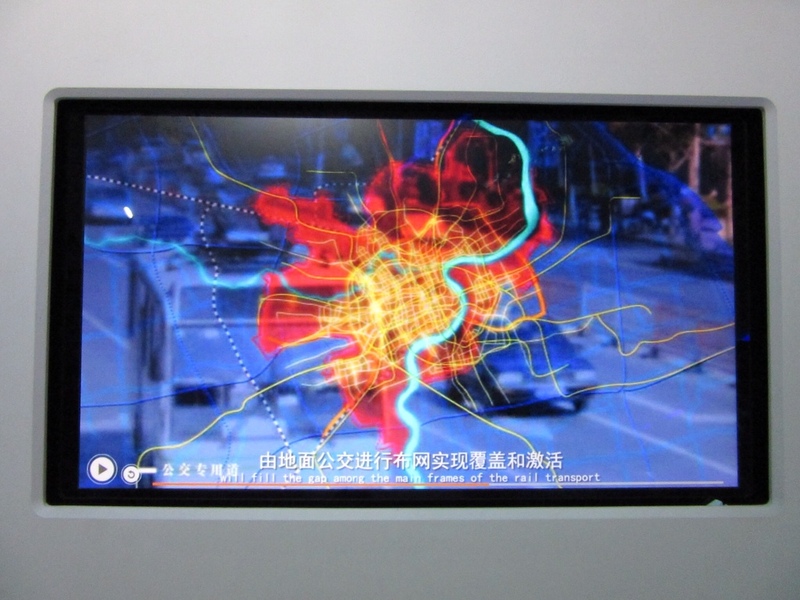 The futurist vision is on display at the Shanghai Urban Planning Exhibition Center. Situated in People's Park, this quasi-museum displayes a potent mixture of planning and propaganda. 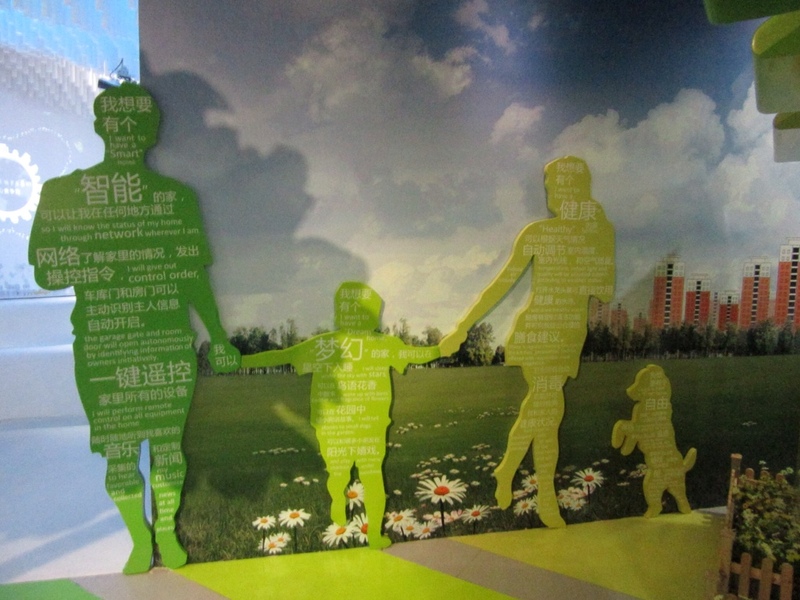 In future Shanghai, we will all be green people. There are strange paradoxes in future Shanghai, like this low-density bucolic sportscar setting. 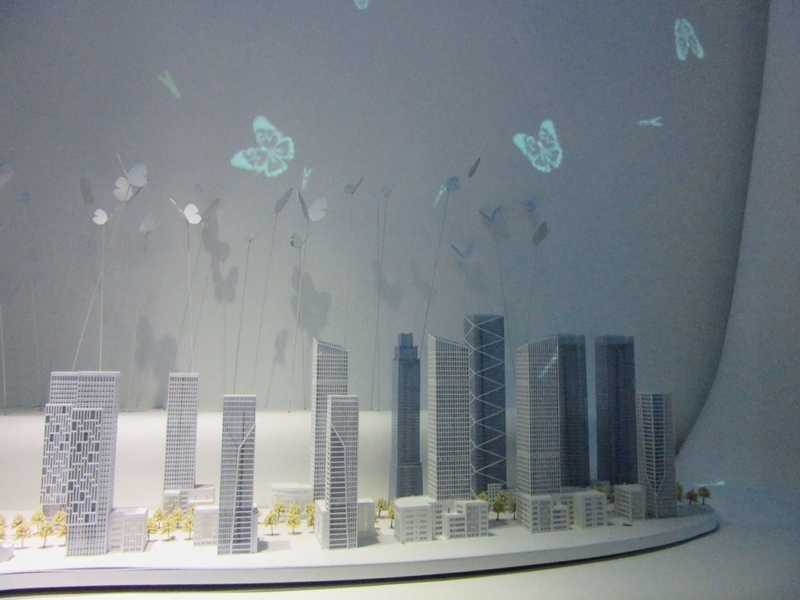 In future Shanghai, watch out for the giant butterflies. I watched this 20-minute video about future Shanghai's transportation network. Strikingly, there were no photos or mention of bicycles, despite the fact that there are millions of them in Shanghai. 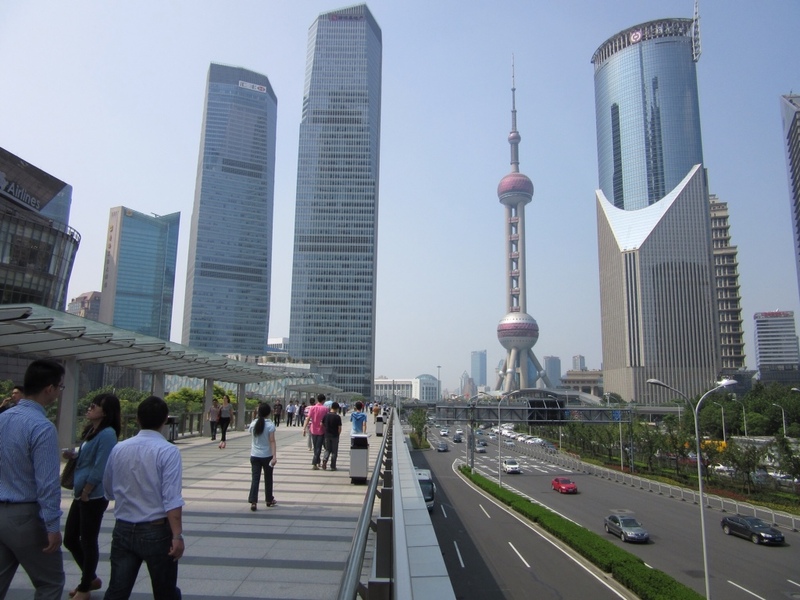 Future Shanghai already exists in some places, like the Pudong district. Built from scratch in the last 20 years, Pudong is home to East Asia's tallest skyscrapers and feels you've walked into a CAD drawing in Peter Calthorpe's office. 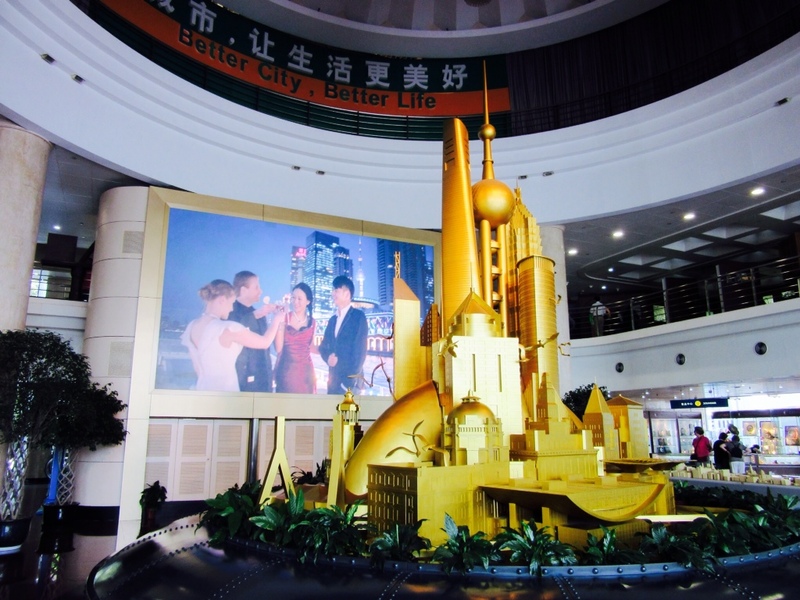 When CAD drawings come to life: Strolling through the (actual) future Shanghai. But there are also strange reminders of the past. In one of the glitzy mall areas, a small, old-fashioned building stands out in a sea of glass and advertisements: it is an apartment where Chairman Mao briefly lived in Shanghai, now immortalized as a museum. Malls and skyscrapers surround a house where the Dear Leader once lived. In the end, I made my peace with Shanghai. I was fascinated by its beauty, its paradoxes, its history and, ultimately, the openness and ambition of its people. Early this morning, a ghost woke me up in Tokyo. I was dreaming about my grandparents’ house in Los Altos, where I was explaining to some hippie backpacker kids why they couldn’t stay there. But I kept getting startled by a noise, a sudden movement, a shadowy figure popping up in the corner of my vision. I woke in a panic, wondering where I was — and where the ghost was. It took me a minute to realize that I was in an apartment in Tokyo, in a room I’d rented on Air BnB from a nice French-Cambodian girl named Pascale. The apartment is in a quiet neighborhood, just behind an ancient Buddhist temple and cemetery, so I opened all the windows before I went to bed. Now, a gusty breeze was waking the dead and making the door thump loudly in its frame. I shut the windows and the ghosts receded, but I didn’t sleep much longer anyway – I had a plane to catch. After a week in Kyoto (more on that another time), I’d returned to Tokyo for one night, in order to to make my morning flight to Shanghai. At dawn I was up, shuffling through a quiet breakfast to avoid waking Pascale. I got on my bike in a damp drizzle and headed for Shinagawa train station. I had ridden the reverse route the previous afternoon, but everything looks different in reverse, doesn’t it? An elderly man, strolling with his dog, asked me if I needed help. I did, and he pointed me in the right direction. A few minutes later, I was pulling into the train station parking lot when a policeman ran in front of me, yelling in Japanese. I started to yammer that I wasn’t going to ride my bike *into* the station (that’s a big no-no) but he interrupted me by waving one of his gloves and pointing at it. Gloves? Just yesterday I had lost one of my biking gloves, possibly near this station. Last night I had torn through my luggage looking for it, to no avail. Could it possibly be? The policeman waved at me to follow him to his booth, where he emerged with my missing bicycle glove. Unbelievable. This is one of the busiest train stations in Tokyo. I had dropped my glove during rush hour on a Friday afternoon when the station was positively swarming. Now here it was, a Saturday morning at 7 am, and this policeman actually *ran me down* to return the glove. After much bowing and cheering and arigato gozaymas-ing from me – all of which prompted one tiny nod from the policeman – I was on my way. Soon, I was on the airport express train with my happily-reunited bike gloves, eating a breakfast of rice balls and hard-boiled eggs, reading the New York Times on my iPad. Ahh Japan. I landed in Shanghai around 1:30 pm. When I emerged from customs into the main lobby, my first thought was – why is everyone yelling? Actually nobody was yelling, they were just being Chinese. While this is my first trip to China, I’ve spent enough time around Chinese people to know that they can – and do – project their voices in a way that sounds like yelling to me, but is just good conversation. After two weeks of the Japanese hush, though, I found it alarming. Even more startling was riding the maglev train (as in magnetic-levitation, as in, you’re actually flying) with the real-time sign that tells you how fast you’re going. Two minutes after we left the airport, the train was traveling 420 km per hour! Seriously?! How can this be safe?! Terrifying is what it is. A train passed us going the other direction, equally fast, and when the two trains met there was a sudden boom of compressed air and everyone jumped, and then laughed. I was the last person off the train, thanks to my heavy load (when the bike and trailer kit are packed in their suitcase for flying, the whole thing weighs about 50 pounds). As I made my way slowly down the staircase, I saw two men at the bottom, each standing behind a different fare gate, each gesturing wildly with their arms and yelling at me to come through their fare gate. I stopped in my tracks and stared at them. What the hell were they talking about? Which fare gate was I supposed to go through? Were these station agents? Plain-clothes police? Did I do something wrong? As I slowly approached, they leaned toward me, reaching over the gates, trying to take my luggage from my hands. I decided to avoid both of them and went through a third gate that was un-manned. Once I was through, they ran over and started walking next to me, one on either side, and the cajoling resumed. I turned and tried to make a stern face and said no. They left me alone after that. I should have said yes. Instead I boarded the subway and proceeded to West Nanjing Road station, which I thought was the station nearest my hostel. Turns out I went to the completely wrong station, and a completely INSANE station at that. I emerged into a sea of hawkers, beggars, tourists and teenagers. I wasn’t sure exactly where my hostel was — I had planned to pop into a cafe, pull out my iPad, and get my bearings. But there was clearly not a cafe to be had, and no way I was pulling out my iPad in the middle of this scene. I hauled my load away from the epicenter, through smelly and wet side-streets, until I spotted a shabby hotel. There I pretended to be interested in a room, so that I could decamp in the lobby and get myself straight. That’s when I realized I was several miles away from where I needed to be. I spent the next 45 minutes walking and hailing taxis. The sidewalk was narrow and bumpy, and full of not just pedestrians and bikers but also motorcycles who honked their way through. Most of the shops were selling hardware, motorcycle parts and other dusty mechanical things. My arms were killing me from pulling the 50-pound bike suitcase around, but there was no place to stop and assemble the bike, and all the taxis were full. I finally got a taxi by jumping in front of one that stopped to let out a passenger. Relieved, I lifted the bike suitcase into the trunk and climbed into the backseat. More yelling. I’m trying to show the taxi driver the address of the hostel, and he’s trying to tell me he can’t read it, and we’re both pointing at my iPad and yelling. Somehow, we find a piece of information we both agree on: I’m trying to get to someplace near the intersection of Jiaozhou and Wuding roads. In the end, he dropped me one block from my hostel, and it only cost me 18 yuen, about two bucks. The hostel is great, in a much better neighborhood, and aside from a group of very excited French college kids on holiday, there’s no yelling. Traveling to Tokyo threw my my sleep schedule out of whack, so I found myself wide awake at 3 or 4 am for the first few days. Eventually I quit trying to sleep and took the opportunity to ride my bike around Tokyo in the wee hours. 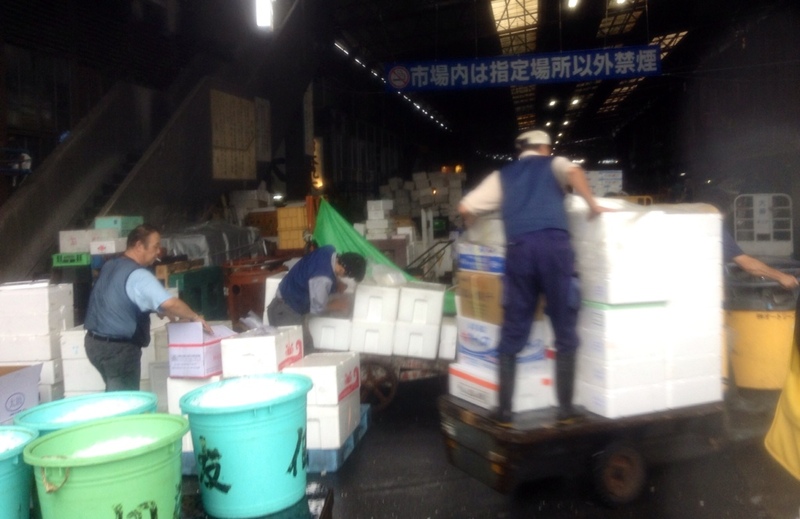 One morning, I biked clear across the city to Tsujiki fish market, the largest wholesale fish market in the world and the epicenter of the global sushi industry. If you’ve ever read or watched anything about the decline of the world’s fisheries, then you’ve probably seen images of Tsujiki. In person its completely immersive, bordering on overwhelming. Its so huge you can’t see the whole place in one visit, jammed wall-to-wall with fish of every imaginable proclivity, dark and slippery and forklifts running full-tilt in every direction. 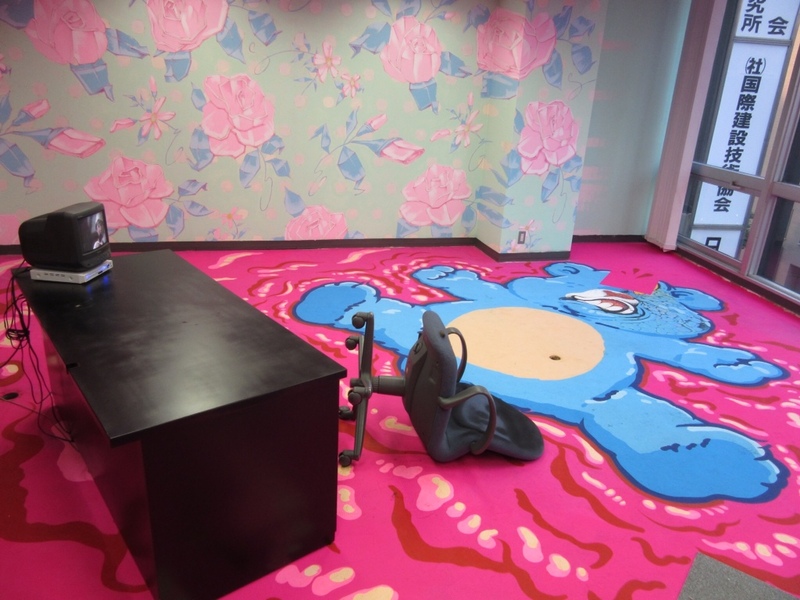 This is one place in Japan where the famous Japanese manners don’t apply. You’re likely to get run over by a load of squid if you don’t watch yourself. The star of the show here is the bluefin tuna, or maguro, a huge, highly-prized fish. Once maguro was only popular in Japan, but the rise of the global sushi culture has lifted all boats, so to speak. 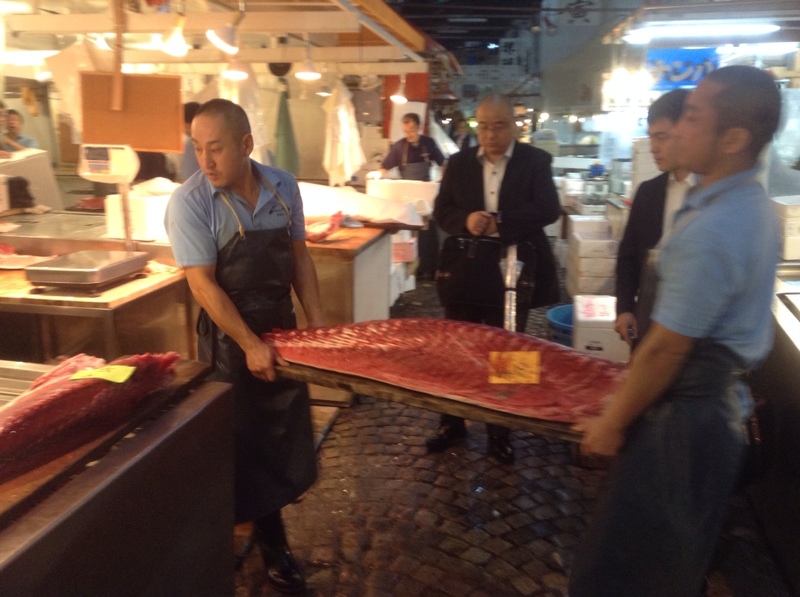 The finest bluefin sell for thousands of dollars each at Tsujiki, and then get flown all over the world the same day. Unlike other desirable fish, such as salmon, you can’t raise bluefin in captivity. They must be caught in the wild, and this huge demand is driving the species to the brink. Scientists believe the bluefin could go extinct in our lifetime. 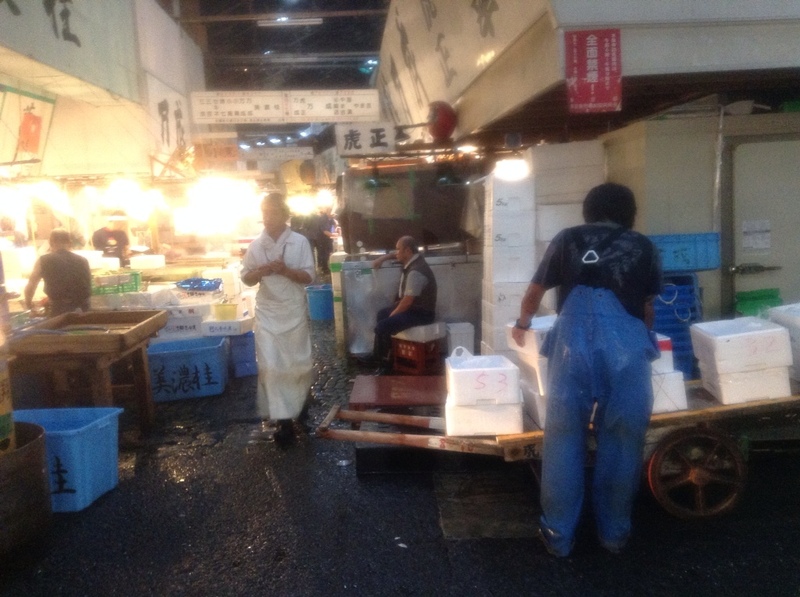 After leaving the market, I ate a bowl of mixed sashimi in one of the little stalls on the outer edge of the market. I thought maybe the reddish fish in my bowl could be maguro and it didn’t taste like anything special to me. What’s all the fuss is about, I wondered? Maybe the best cuts are so expensive now that us mortals only get the least tasty bits? A few days later, I had the chance to learn how wrong I was. It was my final night in Tokyo, so I decided to splurge on a little French-Japanese bistro that I’d walked past several times on my way to the station. There wasn’t an English menu so the waitress gamely attempted to translate for me, but I didn’t fully understand what I was ordering. It was one of the best meals I’ve ever had. The main course was thin slices of smoked fish with a dark red color and silky texture and indescribable flavor. Yup, maguro. No wonder these fish aren’t doing too well. What’s even crazier is that dish only cost 1000 yen, a little less than ten dollars, at a VERY NICE restaurant in a trendy part of Tokyo, which is one of the most expensive cities in the world. Ten dollars for a serving of fish that is going extinct. My salad cost almost as much. On a brighter note, my visit to Tsujiki also introduced me to the wide world of traditional Japanese preserved fish. 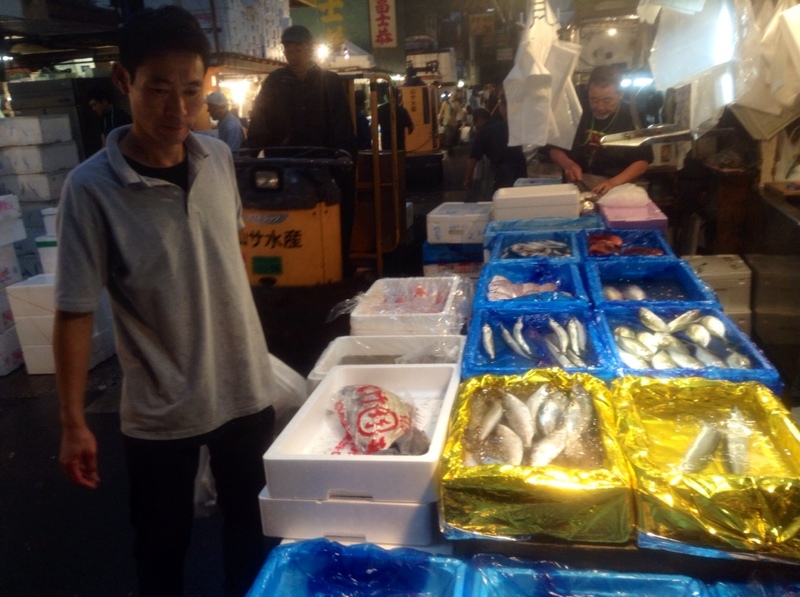 The outer edge of the market is filled with stalls that sell all manner of tasty fishy treats, most of them made with smaller, more common fish species. These are fermented or smoked and combined with everything from ginger and cherries to walnuts and seaweed. They’re amazingly tasty, inexpensive, and they keep for several months without refrigeration. Like the Tlingkit or Haida peoples of the Pacific Northwest with their smoked salmon, the Japanese took the necessity of preserving fish and turned it into a high art form. I spent a long time sampling the many flavors at Tsujiki. Maybe if all us global sushi lovers started appreciating Japanese preserved fish, the bluefin tuna might stand a chance of survival? Just sayin. I’ve spent the first week of this journey getting lost in Tokyo, in the spin-cycle of its subway system, the enticing maze of its side-streets, and the rabbit holes of its subcultures. I am officially smitten. Its like that feeling when you meet someone for the first time and feel like you’ve known them your entire life. Tokyo, where have you been?? 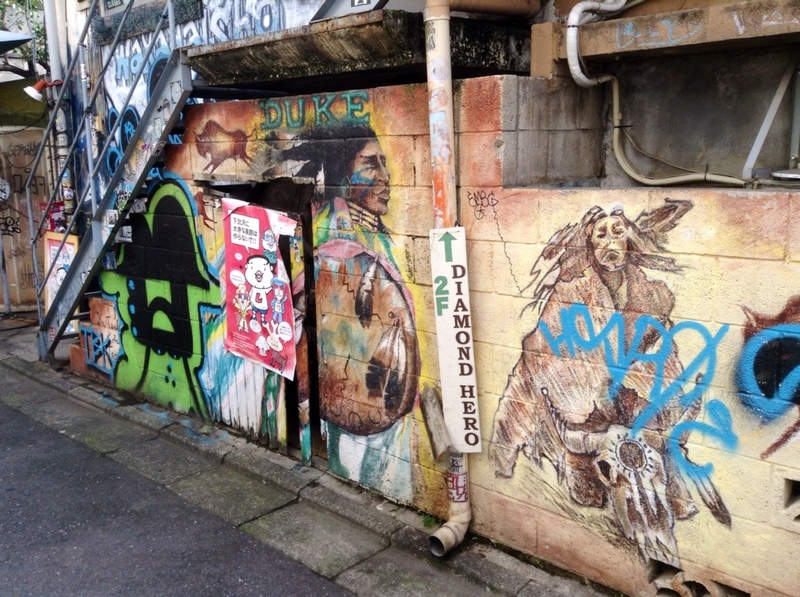 I’ve been staying in a hip neighborhood called Shimokitazawa, which conquered my heart the first day when I got lost not 50 yards from the house I was staying in, and didn’t even begin to care until I was much further away than that. Just this week, Shimokitazawa was dubbed the coolest neighborhood in the world by Vogue magazine. Its not hard to see why: “Shimokita” is a few concentric circles removed from the chaos of inner Tokyo, close to all the action, but far enough away that you can sleep with the doors and windows open, a chorus of insects and frogs serenading you to sleep. The streets are narrow and go every which way, and they’re lined with funky old houses, crazy street art, vintage shops, and tiny cafes and restaurants. Everyone, young and old, has a beater bike which they use for shopping, dropping the kids at school, or calling out to their neighbors as they roll by. Bikes are left unlocked, bags are un-clutched. 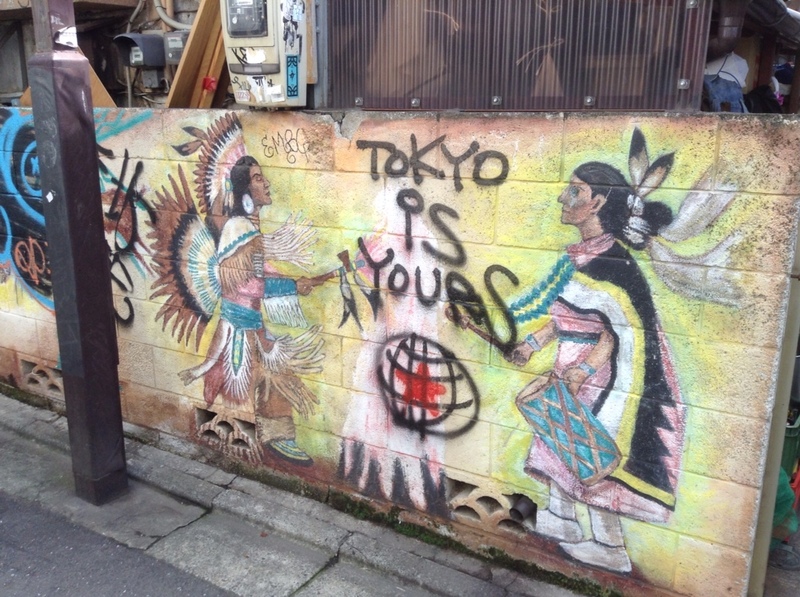 Street art in Shimokitazawa. I was surprised to see a lot of Native American-inspired art and fashion here. While Shimokita is its own distinct vibe, it does have something in common with Oakland’s Temescal, LA’s Silver Lake and East Sacramento. These first-ring suburbs with their admixture of grit, walkability, access to urban centers, history and a dash of unkempt nature are having a moment. They are taking over the mantle of cool that used to belong to places like the Haight Ashbury, Harajuku and Greenwich Village before the corporate chain stores moved in. Online room-sharing services like Air BnB also make it easier than ever for tourists to experience neighborhoods like Shimokita, which doesn’t have much in the way of hotels. How lucky for me to have found such a place at the start of my trip, thanks to the ever-helpful and in-the-know Ann Cheng. The “exotic familiar” was exactly what I needed this week. I was also lucky that my Air BnB house was shared with an Irish ex-pat named Justin who gave me great advice. He also has an excellent blog called Ikimasho! which I recommend if you are planning to visit Japan or SE Asia. 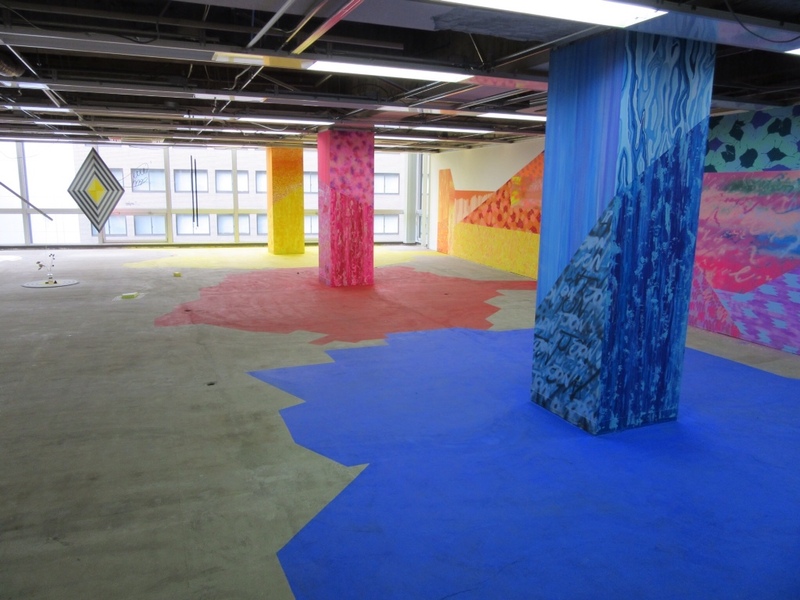 One of the highlights from my time in Tokyo was due to a recommendation from Justin: a visit to a temporary underground art happening called ‘Bction.’ The setup: an older high-rise office building in central Tokyo is slated for demolition, but they let a group of artists take over the entire building for several weeks prior. 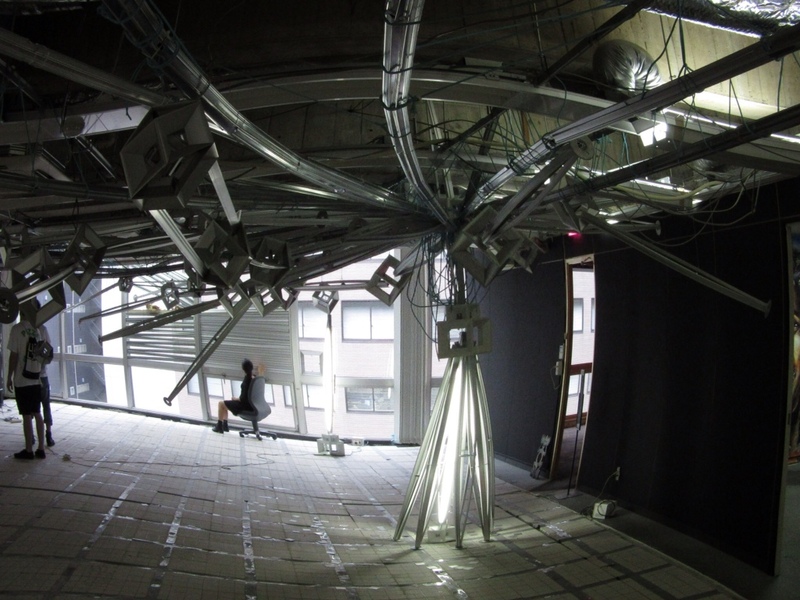 I visited during the final week before the building, and all its art, will be destroyed. In September 2014 I’m embarking on a three-month bike journey through Asia. I’ll be passing through parts of Japan, China, Vietnam, Laos and Thailand. I’m traveling alone, with a folding bike I found on Craiglist. To make this trip possible I have saved up, left my job, and spent many hours riding, fussing, and learning about my bike. As I’ve dug into bicycle components and route maps, I’ve also been getting cozy with my expectations, aspirations and fears. Many people have asked me why I’m doing this journey, why I’m doing it alone, why I didn’t just take a sabbatical instead of leaving my job, what I’m expecting to get out of it. Let’s be real. I’m doing this trip, first and foremost, because I can. This is the first time since I started scooping ice cream at Baskin Robbins at age 14 that I don’t know where my next paycheck is coming from — but I can afford to not worry about it. I’m lucky to have the means to do this trip. If you’ve ever clawed your way out of debt, then you know what I’m talking about. If you’re working to pay down debt and save money, stick with it. 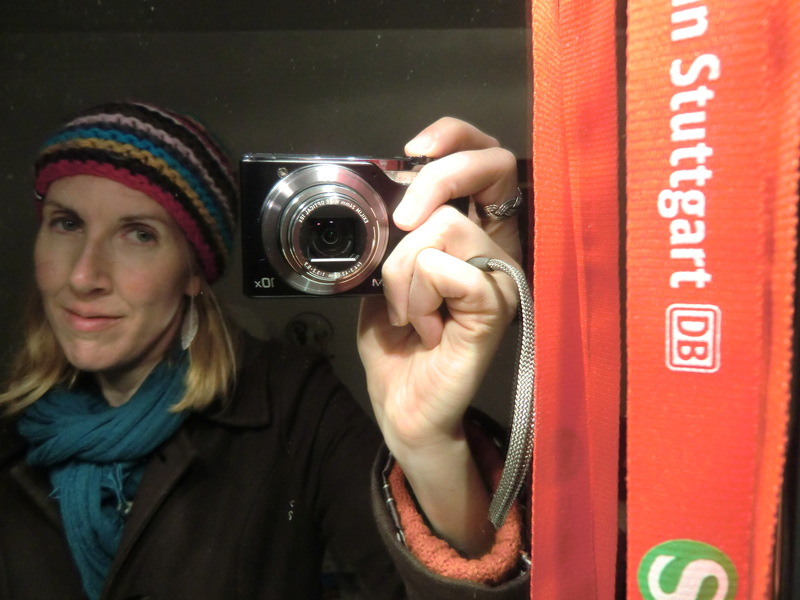 I’m also doing this because its a little terrifying to not have a job for the first time in 20 years and if I didn’t have some kind of mission, I might lose my sh*t.
I’m also doing this because the scary, unfamiliar and challenging places in life are often where you discover beauty and truth. And I’m doing this because I’ve grown attached to the identity that my work has given me, and I want to create a little breathing room around that. I want to see what happens when I step away from that identity for a time. My second night in Stuttgart I was walking through the snowy Christmas Market when I heard a screeching racket like hundreds of kazoos being abused. 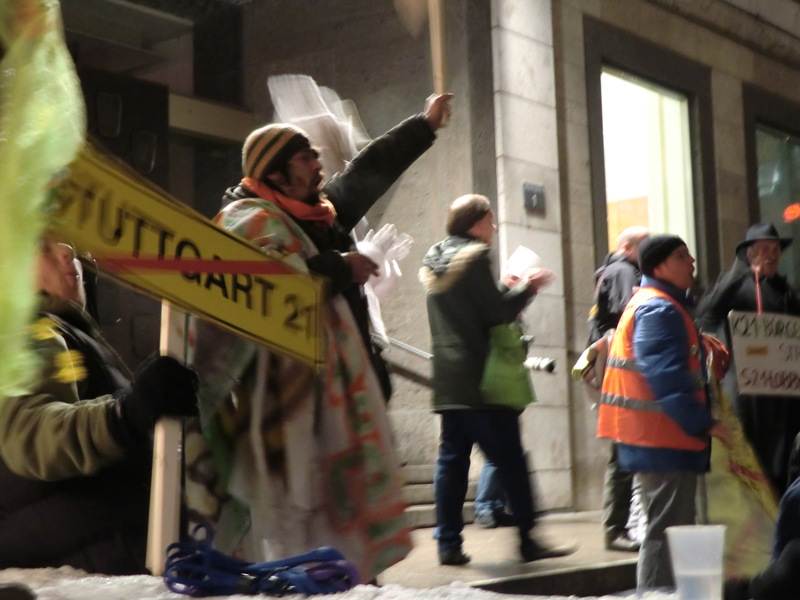 I walked in the direction of the noise and found myself at a Stuttgart 21 protest outside City Hall. I’d encountered a handful of protestors at the train station the night before, but this was far bigger and more organized. There were, yes, kazoos, and costumes, and signs, and a song about the train station set to the tune of Beethoven’s Ode to Joy, and chants of “Oben Bleiben” which means “keep it above ground” (a reference to the undergrounding of the station and the tunnels). My favorite part was the dancing, chain-smoking white rabbit mascots. This is about the time I started feeling all kinds of conflicted. On the one hand, I can’t help but relate to the protestors. I love a good protest. I love the expression of idealism, the truth-telling, the temporary suspension of political reality. Its hard for me to look on a scene like this and not want to be a part of it. These are MY PEOPLE. On the other hand, I am inclined to support investments in transit and urban regeneration unless there is some really compelling reason not to. I get frustrated with NIMBYs (Not In My Back Yard types) who would rather see the world burn than a three-story building or a new train line in their neighborhood. So, are these just a bunch of NIMBYs, or are the angry bunnies right? 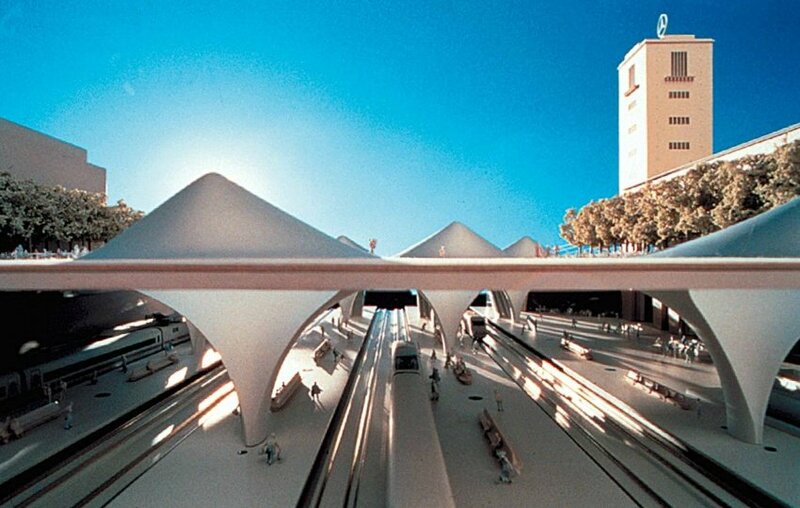 According to the backers of the Stuttgart 21 project, the current Stuttgart station (which is, importantly, a “terminal” station meaning the tracks end at the station) and track system is too small and antiquated for the growing number of local, regional and international trains that pass through Stuttgart every day. Train congestion is a big problem here, and delays in one place create ripple effects throughout the system. Urbanists are also excited about the prospect of a huge redevelopment area in the city center, which is otherwise completely built-out. The project is being pushed by the City of Stuttgart and the national rail service, DeutscheBahn. Its also supported by the regional and state governments. Replace the 1920s-era terminal station and railyard with a new, underground through station so that trains could keep going, rather than having to stop and go back the same way. Create a new mixed-used district on the old railyard. Build a new train station at the airport and a new, fast connection between the airport and the main station. Build 30km of new underground tunnels to increase the capacity and facilitate the movement of trains in and out of the new stations. Here’s a visual of the new underground station, with the old station above on the right. Click here to see more photos of the proposed project. The project made it through the planning and approval process in the late 1990s and early 2000s with little controversy, but construction was delayed by financing issues until earlier this year, and that’s when the trouble began. The opposition is being led by the Green Party and environmental groups. Opponents cite concerns about the cost of the project being too high for the benefits – it will cost 5 billion euros and is projected to increase capacity by 30% – but opponents think the final cost will be higher and the capacity lower. They argue that there are more pressing priorities elsewhere in the national train system. The plan would also impact the adjacent city park, a jewel that stretches from the Neckar River through the heart of the city and includes a fantastic mineral spring complex, one of the largest in Europe. The park itself would remain a public space, but the area adjacent to the station would be affected, because the underground station and tunnels will go beneath a section of the park. Several hundred trees must be cut down to allow construction and tunneling to take place. September’s bloody protest happened when the first trees were cut down. 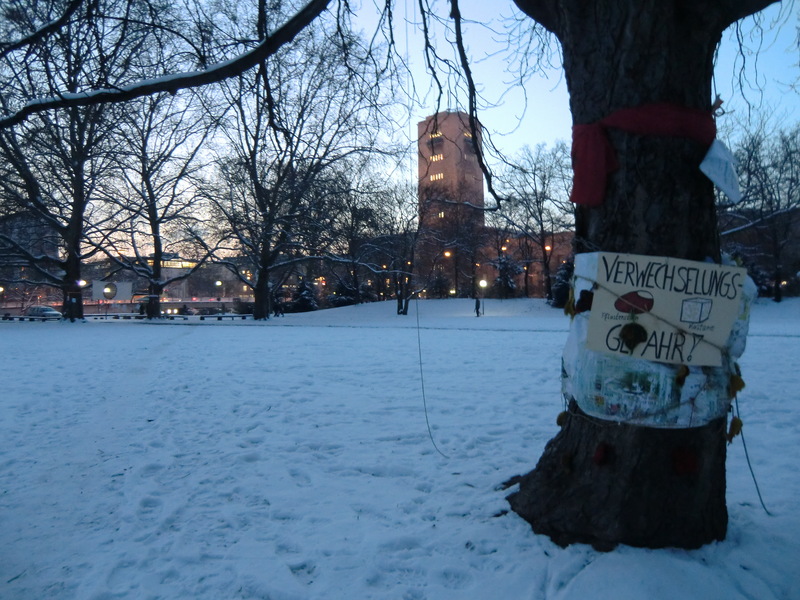 Today, a round-the-clock volunteer park guard patrols the area, and shrines have been set up at the base of trees slated for destruction. 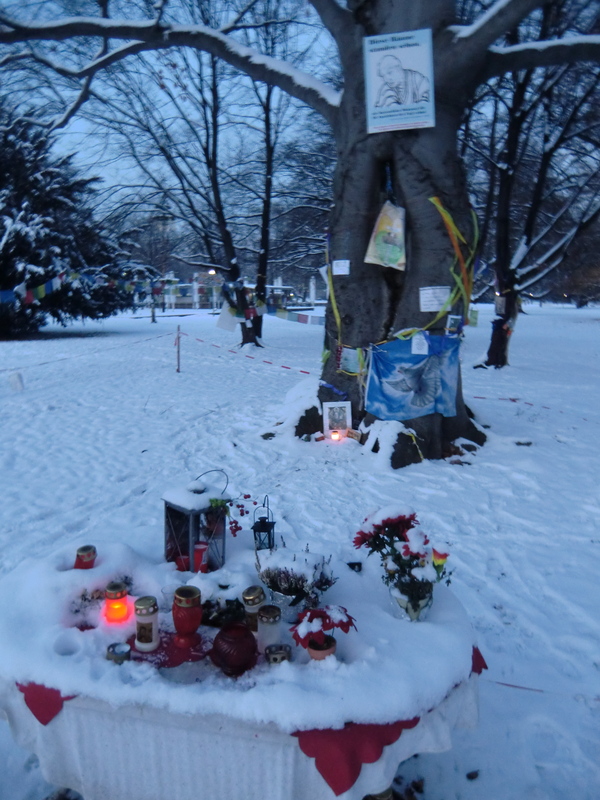 A shrine at the base of a tree slated for destruction. The german word for felling trees? Hack. Perhaps the most deeply-held concern is the new development on the railyard site – what it will it look like? Who will control it, who will benefit from it? What will happen to the surrounding neighborhoods? Opponents are advocating for an alternative which would keep the existing terminus station intact and upgrade it to include more tracks. This alternative would cost much less, would eliminate the need for extensive tunneling, and would also eliminate the redevelopment option. The opponents have been unsuccessful in getting traction for their proposal, largely because the adopted plan was approved ten years ago and fully financed three years ago, and their alternative wasn’t studied at that time. As so often happens, they came too late to the party. I think the culture of protest that has sprung up around this project runs deeper than what is being debated in the newspapers and meetings. People don’t let themselves get bloodied by police because they’re worried about whether a through-station or a terminal station will increase capacity. There’s a sense that people have lost the power to determine their city’s future, that large and invisible forces are pulling the strings for their own nefarious purposes. Most of all they suspect those who want to redevelop the railyard. 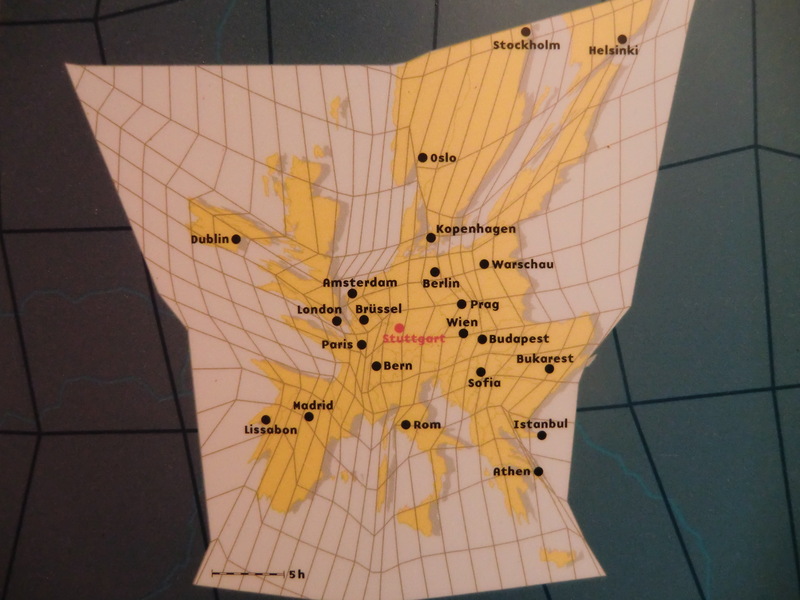 In the context of the last century, I can understand why Germans would feel helpless when it comes to their cities. Stuttgart, like many German cities, was obliterated by Allied bombs at the end of WW2 and had to be almost completely rebuilt. A great debate among architects and planners all over Germany was whether to faithfully reconstruct the old city, or to make a clean break with the past and start fresh with new, modern architecture. The modernists largely won the debate. Much of Stuttgart’s architecture is bland, generic post-war architecture – at least 60% I’d say. Some of it is OK, but a lot of it was built quickly, to get a roof over many heads, and lacks any sense of place or character. 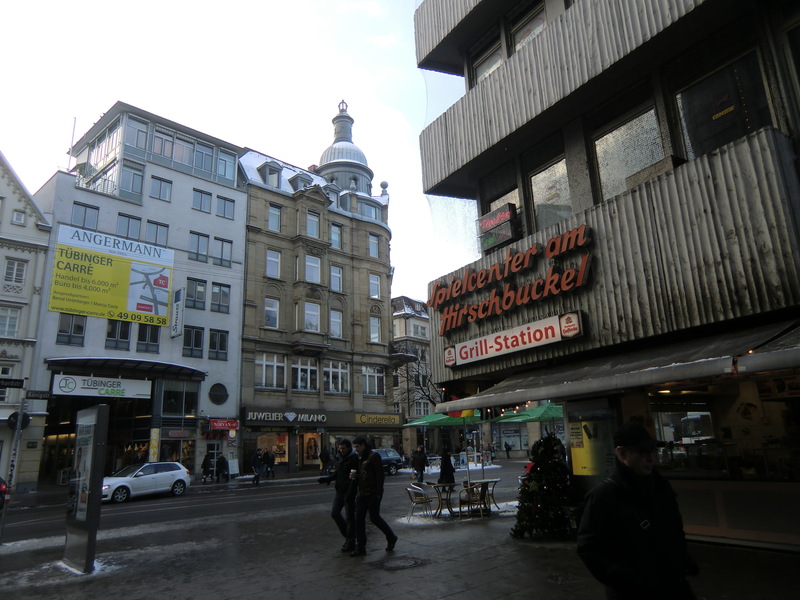 In downtown Stuttgart, historic buildings are mostly dwarfed by post-war monoliths. But now the pendulum seems to be swinging back the other direction. The handful of pre-war buildings that survived the bombs are cherished, and in recent years all across Germany cities are investing millions to faithfully reconstruct pre-war churches and palaces. 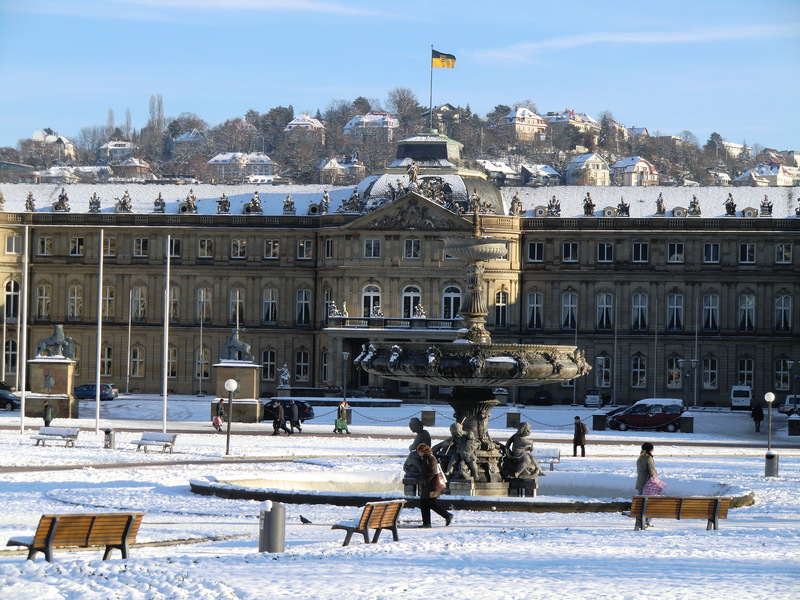 Stuttgart spent millions to rebuild its historical Neues Schloss palace after it was obliterated by the bombs. 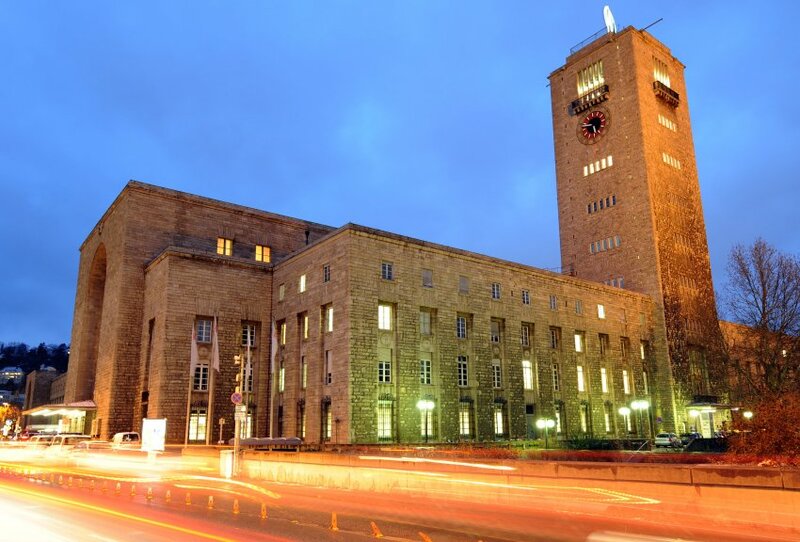 Stuttgart’s main train station is one of those rare important buildings that somehow survived the war. Built in the 1920s Weimar Republic era and completed just a few years before Hitler came to power, the building is simple and unimposing, not particularly beautiful. To me it feels heavy with foreshadowing. But as one protestor reminded me, Germany has a long history before those twelve horrible years of Nazi rule. For obvious reasons, Germany has turned away from glorifying its past and instead focuses on being a modern, forward-looking society. But in this relentlessly globalizing world, people long to feel a sense of place and history. The train station and its adjacent park are one of the only places that are untouched, where you can feel a sense of what Stuttgart must have been like before the war changed everything. So along comes a plan which promises to radically remake the city – again – and fundamentally alter an historic touchstone. The plan calls for keeping the main part of the train station intact as a sort of entry hall and museum, but one wing of the building will be knocked down and most of the station’s essential functions will move into a new underground station. And the whole area around the station will look completely different as the railyard is redeveloped. On the deepest level, Stuttgart 21 has sparked feelings of helplessness in the face of powerful forces that can tear apart communities. People here feel like they were blindsided by this project and didn’t have the opportunity to have their opinions heard. Most of the protestors didn’t even know about the project, or only had a vague sense of it, before construction began. The ten-year delay between approval and construction certainly didn’t help. One planning official admitted to me that they didn’t foresee the protests, and so they didn’t make enough of an effort to make sure people were fully aware of what was happening. 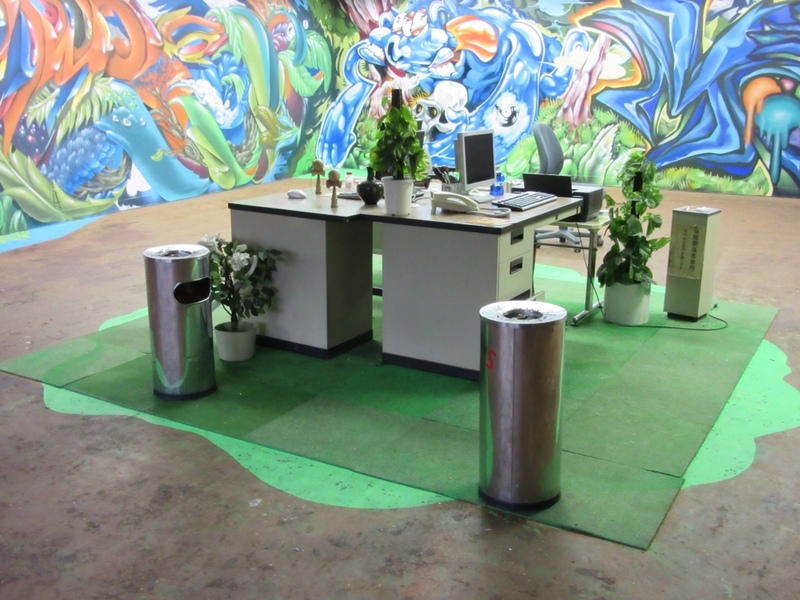 Is this what happens when smart growth goes mainstream? In California we’re struggling against the old paradigm of cars and sprawl. We are trying to create a new paradigm, and in the last few years we’ve made a lot of progress. In Germany, they’re already there. The powerful institutions all support massive investments in transit infrastructure and urban regeneration, both because they’re politically helpful and there’s money to be made. 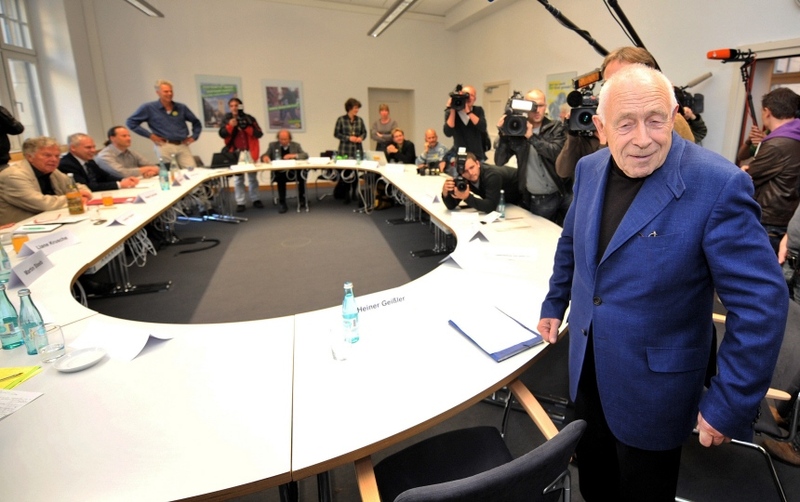 Stuttgart is perhaps a cautionary tale for what can happen when good ideas go mainstream and get ahead of their constituency. Coming Thursday: Part Three (the final installment), where I’ll tackle the question of trading off local impacts vs. global benefits and how those forces are seeking equilibrium in Stuttgart. 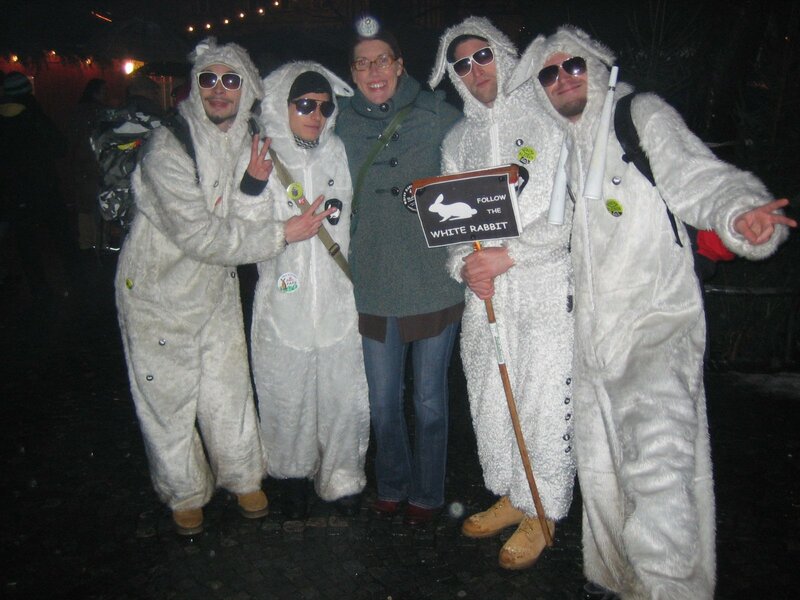 Also, I have a chance encounter with the chain-smoking bunny mascots – and learn what they REALLY want.